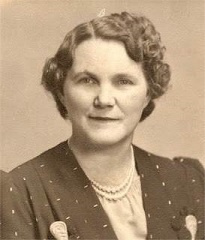 Nellie Opal Sells was my maternal grandmother. She was born August 11, 1900, to Columbus Sells and Gertrude Wilburn Nichols, Farmington, Van Buren, Iowa. She had two other siblings, John Wesley, and Sylvia Pearl Sells. By the time Nellie was ten years old the family had moved to Union, Laclede, Missouri and nine years later the family had settled in Springfield, Greene, Missouri. In the fall of 1919 Nellie's mother became ill with pneumonia and died on November 6, 1919, my grandmother was a young woman of only nineteen years old. My grandmother's mother Gertrude Wilburn was a member of Seventh-Day Adventist Church and raised her family in the faith. There would be times in Springfield, Missouri that they would hold tent revival meetings that would sometimes last up to a week. It was at one of these tent meetings that Nellie attended that she caught the eye of a bystander, John Leo Brumley. My grandmother spoke many times about how it was love at first sight for each of them. They had a whirlwind romance and March 13, 1920, she and John were married in Kansas City, Wyandotte, Kansas. They began building their family on December 6, 1920, with the birth of a daughter, Nancy Gertrude Brumley, my mother. They established their residency in Kansas City, Kansas and added to their family with Leo Isaac, John Junior, Gerald Raymond, and Shirley Ann Brumley. My grandfather had many jobs over the years to provide for his family. He was a carpenter in most of the jobs he held in Kansas City. Times were tough during the Great Depression of the 30's and my mother told me of the stories of him and others standing many hours in the bread lines for any food to feed their families. 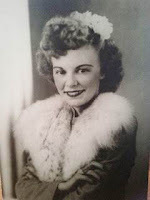 My grandmother Brumley was my favorite grandmother, she was always happy no matter how bad things would look. There were many occasions we would sit together on her porch swing and just talk or laugh about anything and everything. Since my family lived in Illinois at the time I would look forward to visiting her each summer. She taught me how to cross-stitch one summer and I still love that hobby today. I was an 8th grader looking forward to graduation and my graduation present was going to be spending the summer by myself with my Grandmother Brumley. I could hardly wait for school to be over that year. One day my mother got a phone call that my grandmother was ill and could she come to Kansas to help out. I was worried and waited for my mother to call us back home and give us a word on how she was doing. My mother returned home and everyone thought she was getting better. 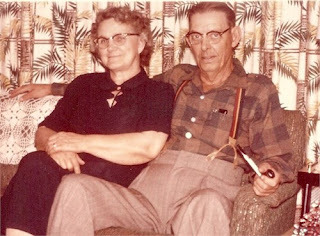 I remember the phone call like it was yesterday as my mother came into my bedroom to tell me that my Grandmother Brumley had died of complications of her illness. I was devastated and I remember crying most of the night in bed. The person I had looked up to for so long was no longer alive. It was hard to accept but with my mother's help, I put her in my heart where I could never forget her. Nellie Opal Sells Brumley died on May 3, 1965, in Kansas City, Wyandotte, Kansas she was 65 years old. My mother went by herself to her mother's funeral while my dad stayed home and took care of me and my brothers. She was the first relative to die when I was a child, I didn't know what to expect but with the understanding of my mother, I got through it. I have started my blog back up again and I am selecting some of my favorites to post again. If you enjoyed reading this blog post please let your family and friends know about it and spread the word.